While it’s certainly a day of celebration, Mother’s Day can be difficult for those who have lost a parent. 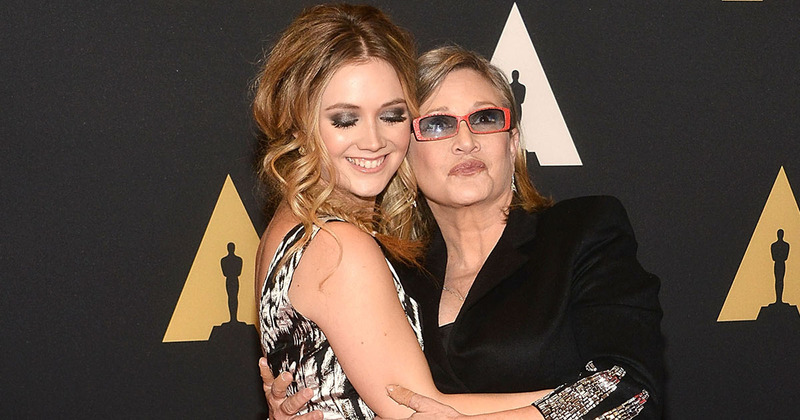 Taking yesterday as an opportunity to pay tribute to her late-mother Carrie Fisher, Billie Lourd shared a sweet picture of her and her mom, and we’re sending her all our thoughts. Over the past few weeks, Billie has given a few tributes to her mom. At this year’s Star Wars Celebration, she donned a tribute to her mother’s iconic Princess Leia outfit and appeared on stage to recite one of Leia’s most iconic monologues from the Star Wars franchise. It was a pretty emotional moment. Now, on her first Mother’s Day without her mom, Billie Lourd has shared a sweet mother-daughter throwback picture, and it’s making us feel pretty emotional. The picture shows Billie as a toddler, sitting on her mom’s lap while the pair rides a train. Keeping the caption short, the Scream Queens actor left the picture with just a heart emoji. The 24-year-old, who recently visited Britney Spears’ Las Vegas show with Taylor Lautner, shared another tender and emotional throwback to her mom on Star Wars Day, aka May 4th. Speaking about her mom at Star Wars Celebration, Lourd said that, at times, Carrie and Leia were one and the same. It was recently confirmed that while she would appear in the next upcoming Star Wars movie, The Last Jedi, she wouldn’t be appearing in the last installment of the current trilogy.